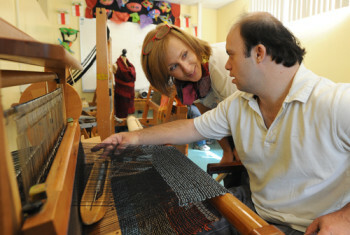 To educate and empower individuals with developmental disabilities to realize their full potential. Student’s here participate in Sophie’s Gallery, creating art in many different mediums for themselves and for selling in Sophie’s Gallery. Your support will help us continue to provide quality services and programs for adults with developmental disabilities that nurture each individual’s potential to live life to the fullest.